Originating in Mexico, beautiful chiming pregnancy necklaces are worn by pregnant women, and emit a gentle bell sound as mum moves about her daily activities. Why wear a Pregnancy Necklace? From around 20 weeks, babies can hear sound from outside the womb. 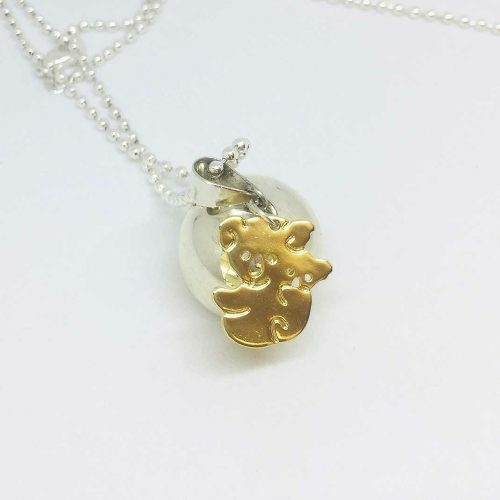 Baby will hear and recognise the sound of mum’s chiming pendant, creating a special and early connection between her and her baby. More. 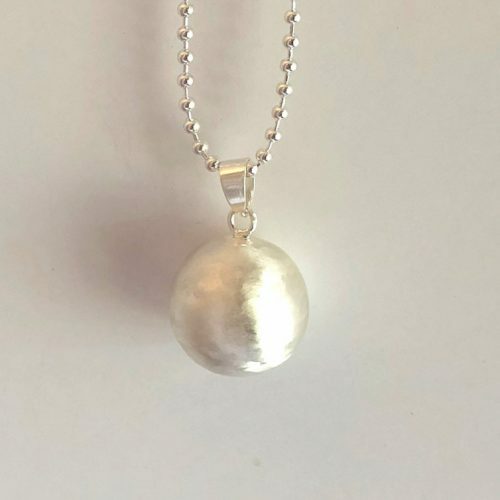 A pregnancy necklace is a lovely way for mum to be to connect with her baby before and after birth, and to celebrate this momentous occasion and a new chapter in her life. 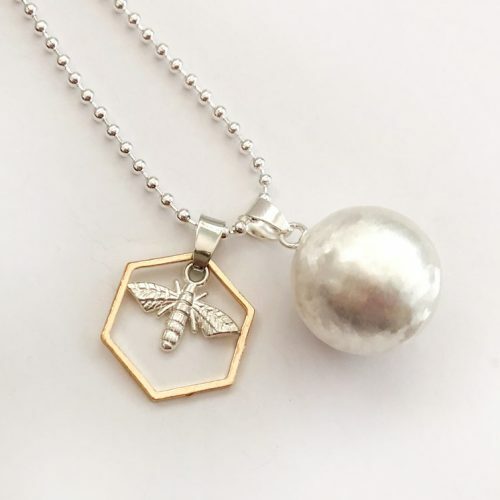 Bebe Bola offer a modern take on this ancient tradition with a collection of chiming pregnancy necklaces and meaningful charms. A sentimental and meaningful maternity gift to celebrate mum to be. 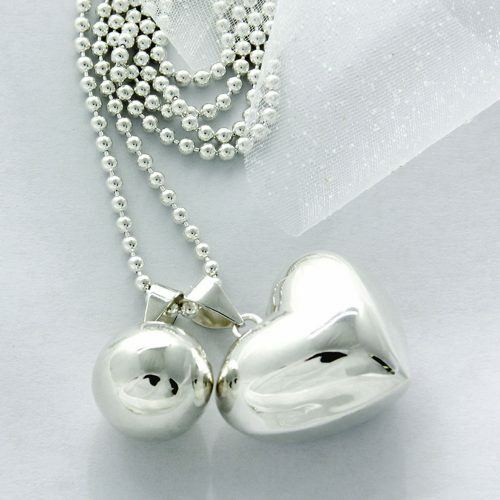 The chime of the pregnancy necklace represents the strong and extraordinary bond between a mother and her baby. The chime of the Harmony Ball will interrupt mum throughout her busy day to remind her that she is growing a new life! And to relax, be calm and take a few minutes to spend some precious time just herself and baby. 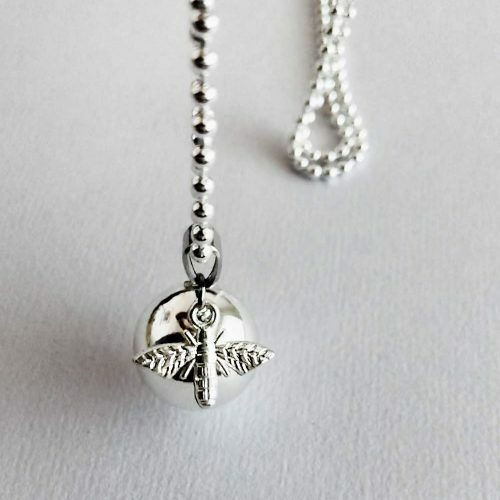 Pregnancy necklaces are said to call upon the wearers Guardian Angel to walk with and protect them throughout their pregnancy, delivery and lifetime. A beautiful sentiment and meaning for every pregnant woman. 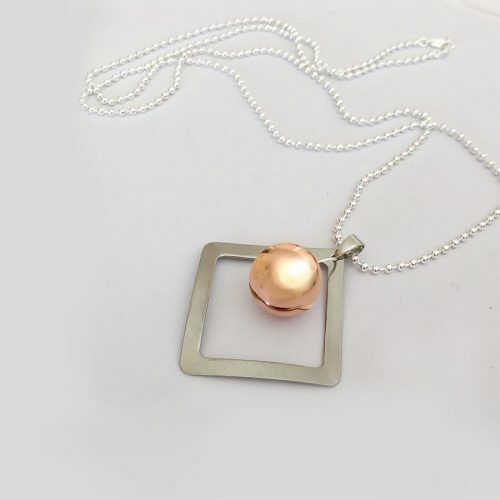 Each pregnancy necklace includes a Harmony Ball pendant of your choice, and a 100cm necklace lovingly coated in 925 Silver. Worn low on the belly, your pregnancy necklace will bounce gently against your growing bump, making a chime sound that will be heard by baby from around 20 weeks. By regularly wearing your pregnancy necklace, your baby will become familiar with the harmony ball’s soft melodic chime. After birth, bub will find its gentle bell sound calming, reminding them of the comfort and safety of the womb. Harmony Balls are also said to create a feeling of calm and harmony for the wearer. Read more.